The Francis B. Hays Collection contains a series of scrapbooks documenting the histories and people of Granville county and Oxford, North Carolina. Compiled by Mr. Francis B. Hays (1867-1959), each volume is indexed by name and/or organized by date and features: newspaper clippings, wedding invitations, event announcements, images, handwritten biographies, and family trees. 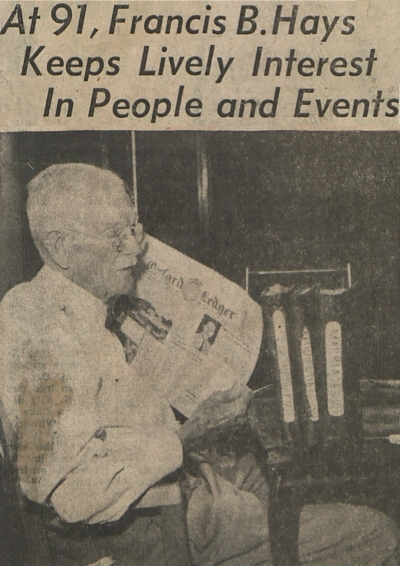 Mr. Hays was a former editor and clerk who created and maintained these records for over 75 years, eventually donating them to the Granville County Public Library. The Library holds over 150 bound scrapbooks. (There is no Volume 10.) A selection has been made available online.